Hey everyone, welcome back for another reveal. This next one is in my top 5 favourites of all the customs I have made. And even better, he went to a good friend. 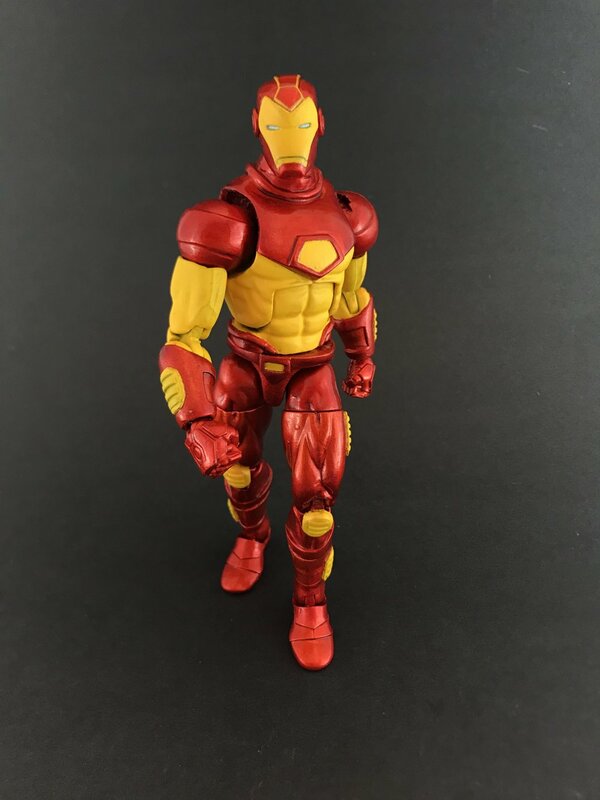 So without further adieu, here is Iron Man (in Modular Armor from the 90’s of course)! Every year (well, its only been 2 years, but still, I don’t think it will change), New Collector, TxT Customs and I do a little mini figure swap between the 3 of us where we each get a figure from one another. In typical New Collector fashion he finished TXT and my customs within the hour after we gave our 5 character lists and I was staring at a beautiful Rictor custom a few days after :) Last year when NewCollector was building up his 90’s avengers ranks I asked him if I could make him a 90’s Iron Man for his collection as part of our 2018 swap. Thankfully he obliged and here we are! 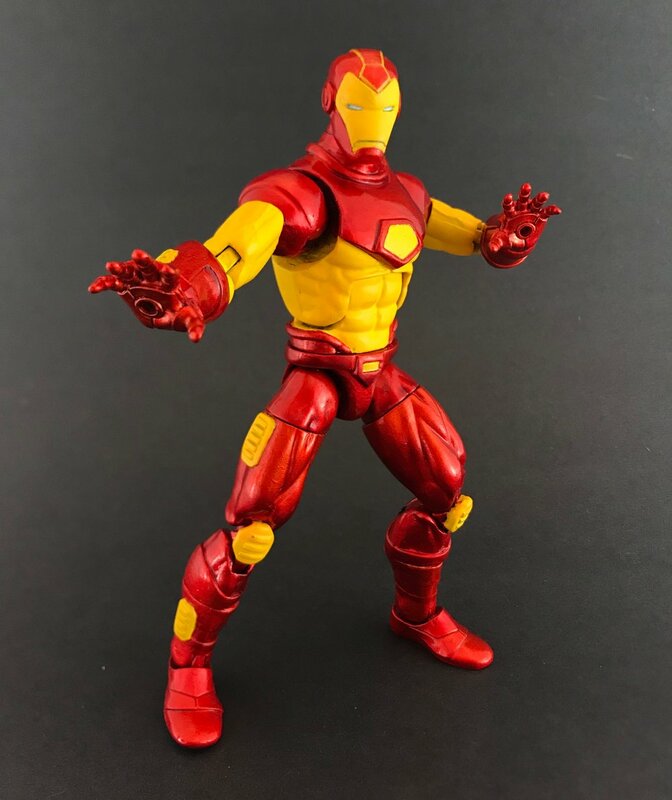 90’s Iron Man in all his shiny red glory. Shellhead was made using a Red Guardian base body. I swapped out the lower legs for Grim Reapers and the arms for Whirlwind’s. 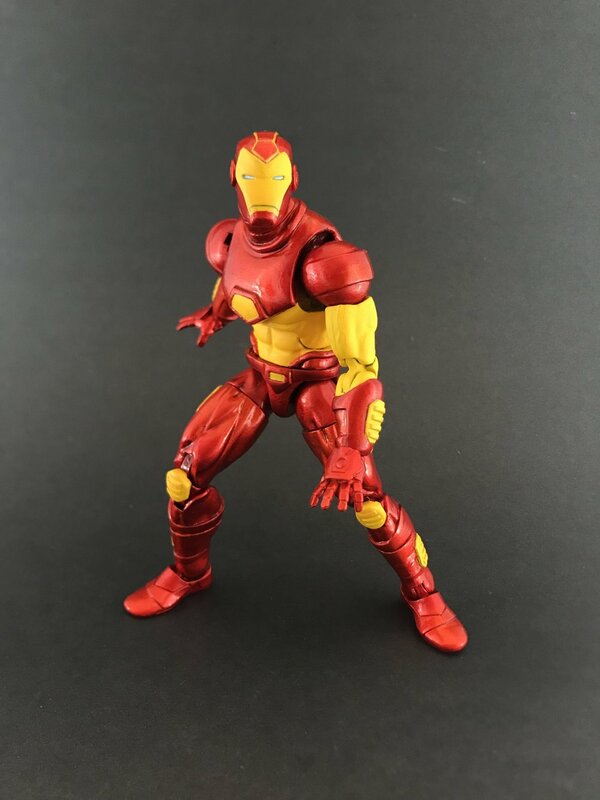 The hands and feet are from Invincible Iron Man and the head is from an MCU Iron Man Mrk 46 (Civil War). Pretty simple really. I flip flopped back and forth on how I was going to approach some of the sculpting in this piece. I was concerned about the “belt” because I didn’t want to break the sculpt with the waist articulation. 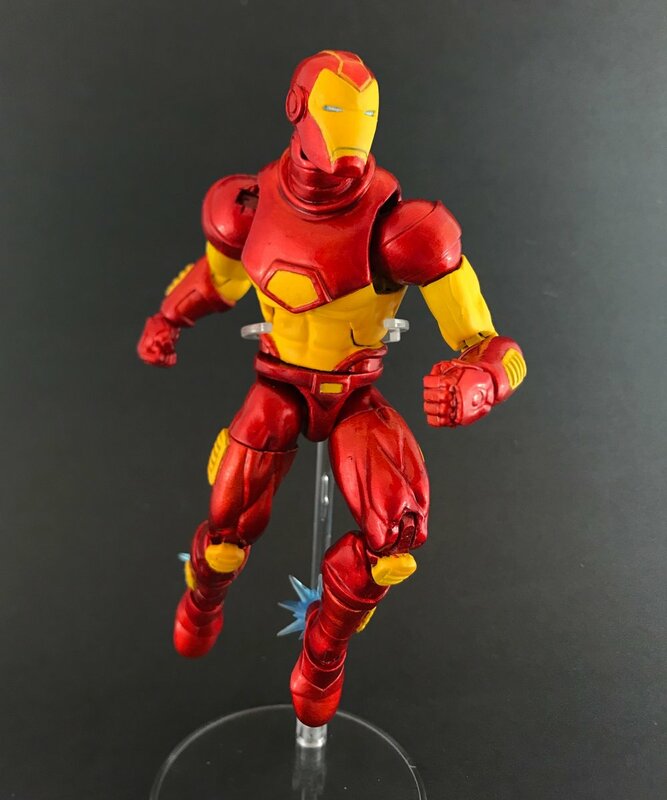 In the end I copied the look of Rick Jasso’s (Fenix 5ive Customs) recent Modular Iron Man (which is a work of art btw). I felt it worked best aesthetically and NC was onboard with it too. I also changed my mind a lot on the shoulder armer (originally planned on using some heavily modified Odin BAF shoulder pads), ultimately decided to just sculpt them. I am so happy I did. Looks much better. All sculpting was done using Apoxie Sculpt. I sculpted the chest/shoulder armor, the arm gauntlets, the “belt”, the boots and all the leg details. I also filled in the toe cleft on the Invincible Iron Man feet. I skipped some of the lines in the amor on the legs as per NewCollector’s request. The paint job was lots of fun. NC and I decided to go with a metallic red and matte golden yellow combo. I think the results really speak for themselves. The red pops like crazy against the bright matte yellow. To get the chrome red effect, I painted everything with Chrome Silver then hit it with 8 coats (literally) of clear red. I had to actually go back after I had finished painting and re-dremel the knees because there was so much clear red paint that it was causing paint rub. Haha. But I really wanted it to be candy apple red, and apparently that takes 8 coats of clear red to accomplish. lol. Finally, I clear coated the yellow with Testers Dullcoat and the red with Testors High Gloss Varnish. The end results made me sooooo happy! Crisp and shiny, free of paint rub. Woooo! Unfortunately, I wasn’t fully happy with the pics I took, but I was eager to get this into NC’s hands so I accepted the fact that my pics weren’t perfect and sent Stark packing to his new home. Overall I was so stoked when I finished Iron Man. I don’t even collect Avengers figures but I really wanted to keep this thing. He was a real labor of love and I had a blast making him. I'm beyond happy that it ended up going to NewCollector and that he was so happy with it. It looks good in your posed your 90's Avengers. Thanks for stopping by and checking him out. 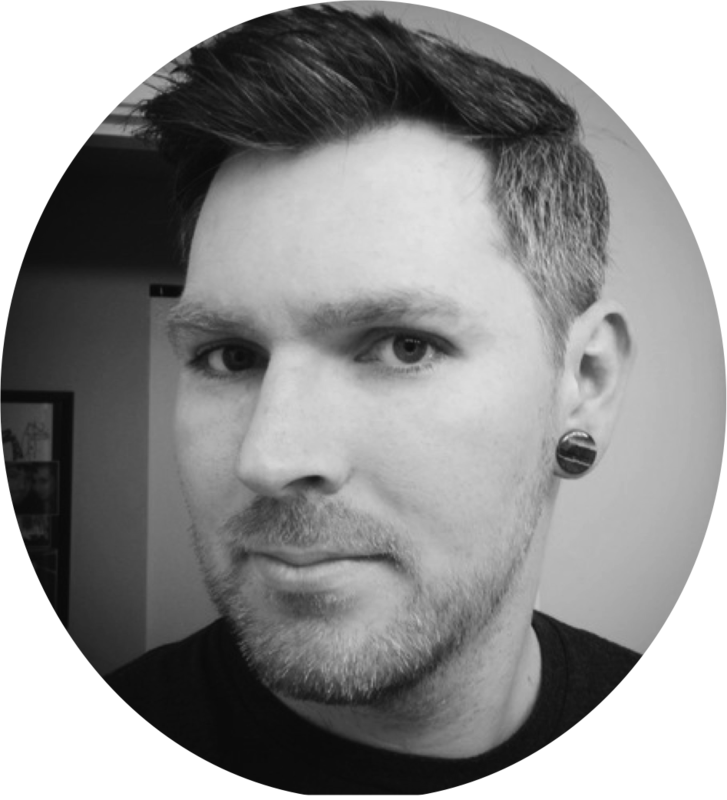 Make sure you check back in a couple weeks when I reveal another little gem I recently finished. Very excited to share! Cheers!